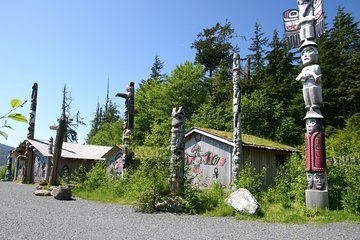 Check all the boxes with this comprehensive tour of Potlatch Park, which includes some farther-flung corners of the island. With a guide leading the way and providing commentary on the area's history of dancehalls, bootleggers, and brothels, you'll come away with a deeper understanding of the region. A stop at Herring Cove will focus on the area's wildlife, including seals, bald eagles, bears, and salmon.